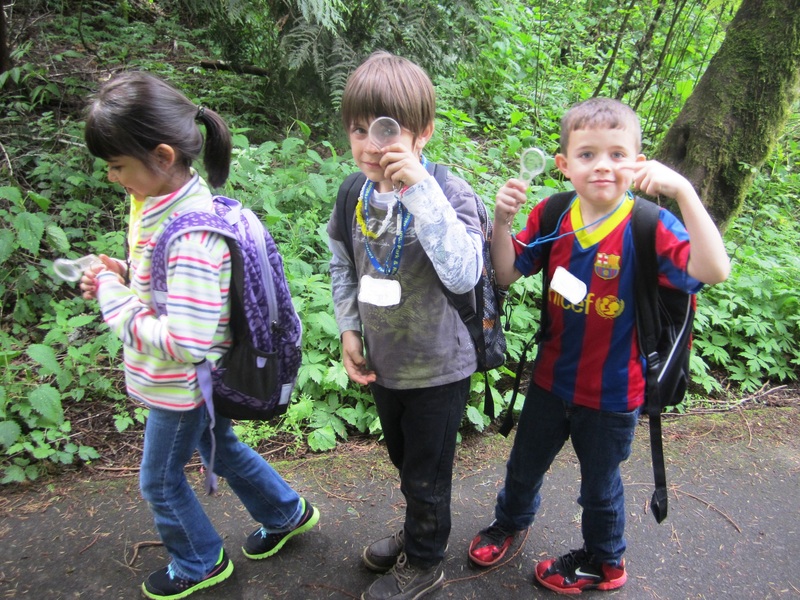 Elementary students use scientific tools to help study the natural environment of Tualatin Hills Nature Park. THPRD's experienced environmental educators lead engaging, hands-on programs at both nature parks and natural areas within walking distance of schools. If you have a non-school group, please visit our Group Programs page. Each School Program incorporates multiple, nature-based activities for a memorable outdoor experience that connects to a variety of crosscutting concepts from the Next Generation Science Standards (NGSS) to supplement in-classroom instruction. The program descriptions below outline our specific environmental education programs. Each program listed has a description, connection to NGSS, months available, grade level recommendation, and length of program.